Many historic places seem to have a particularly special atmosphere or character of their own. Perhaps this is because the property has a fascinating history, or perhaps the place is jam packed with unique and interesting objects…or maybe it’s simply that you’re always guaranteed a warm welcome whenever you visit. What is certain is that every property is different; which can make it tricky when it comes to presenting, or interpreting places for visitors. How to point out that fascinating story or interesting object without intruding upon the character or spirit of the place? Here at Standen, we use a variety of ways to interpret the house and enhance the visitor experience: from talks, tours and demonstrations, to information sheets, room stewards, smells and sounds. 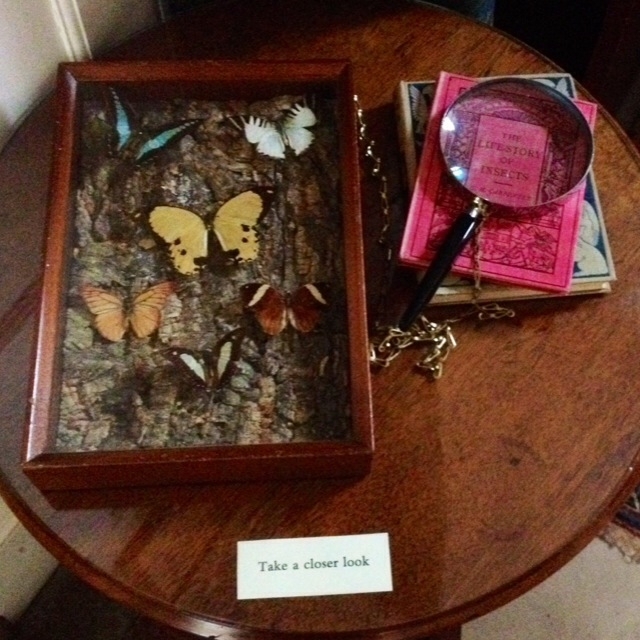 But we’re always looking for new and exciting ways to share Standen with our visitors! 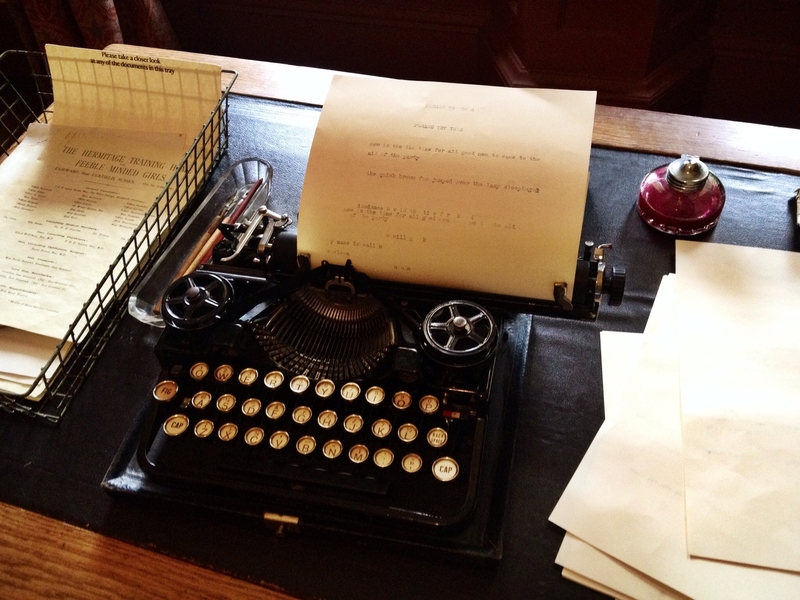 This typewriter really brings to life our Business Room, and is especially popular with our younger visitors! Interpretation of the house and its collection are a big part of my role, and soon after starting work at Standen, I began writing and giving my own introductory talks and ‘taster’ tours for our visitors. This was rather nerve-wracking to begin with, as I didn’t have much experience in public speaking, but it became much easier once the first talk was over and done with. These talks and tours are a great way to introduce visitors to Standen, and also proved instrumental in familiarising myself with the house and its history! Categories: Uncategorized | Tags: character, House, Interpretation, spirit of place, Standen | Permalink.